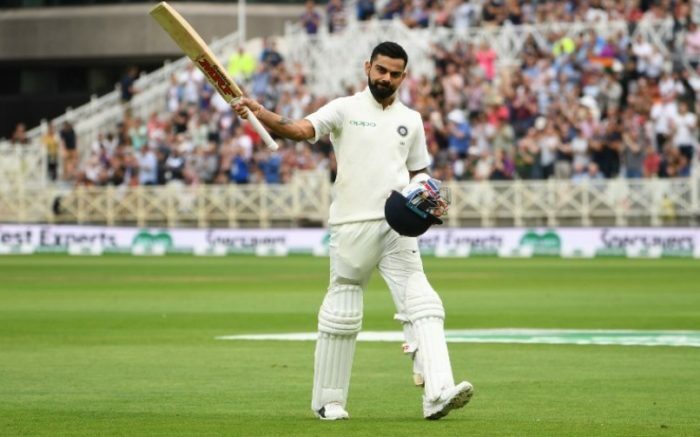 New Delhi, Aug 23: Following his good form during the ongoing series in England, India skipper Virat Kohli regained the top spot in the ICC Test rankings for batsmen, released on Thursday. Earlier, Kohli was at the No.1 spot after gathering 200 runs in the first Test against England. However, he slipped a place after a dismal show in the second Test at Lord’s. The Indian skipper is followed by Australia’s Steve Smith while New Zealand’s Kane Williamson is third in the charts. Meanwhile, after a maiden five-wicket haul — a 5/28 in the first innings followed by an unbeaten 52 in the second innings — all-rounder Hardik Pandya also made big gains in the rankings for all-rounders and bowlers.